Two pies are on the table, and you need to cut the same portion of each in this interactive activity. The game helps to teach you about equivalent fractions. Beneath each pie chart is shown the size of the fraction that matches the chart. 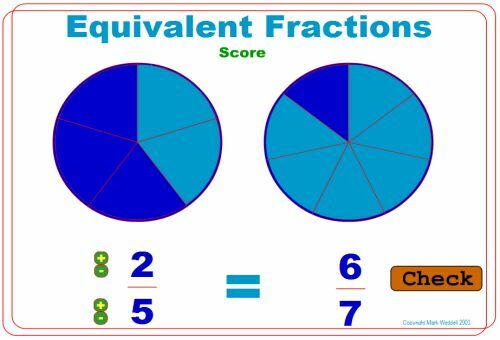 You can adjust the numbers of each part of the fraction using + and – symbols next to the number, and your goal is to ensure both fractions, on left and right of the screen – and their matching pie charts – are the same. 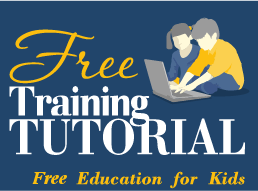 This is a simple introduction to equivalent fractions – with the charts providing a clear way for kids to see how fractions work. The numbers are small, so this makes it a good activity for kids in grades 3 and 4. After each correct answer, you will be given another puzzle to test you. Don’t be afraid to experiment and see how different sizes of fractions look inside the pie chart!